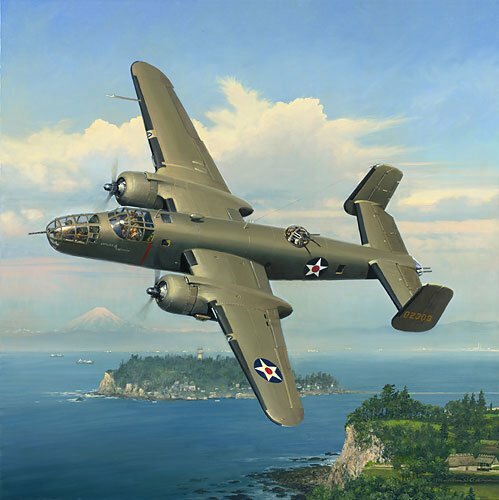 "Evasive Action Over Sagami Bay" is an authentic historical document, offered as both a fine art print and canvas edition, countersigned by Doolittle Raiders Col. William Bower, Lt. Col. Richard E. Cole, Maj. Thomas C. Griffin, MSgt. Edwin Horton, and Maj. Gen. David M. Jones. This is a unique opportunity to own and preserve an important moment in aviation and U.S. military history.